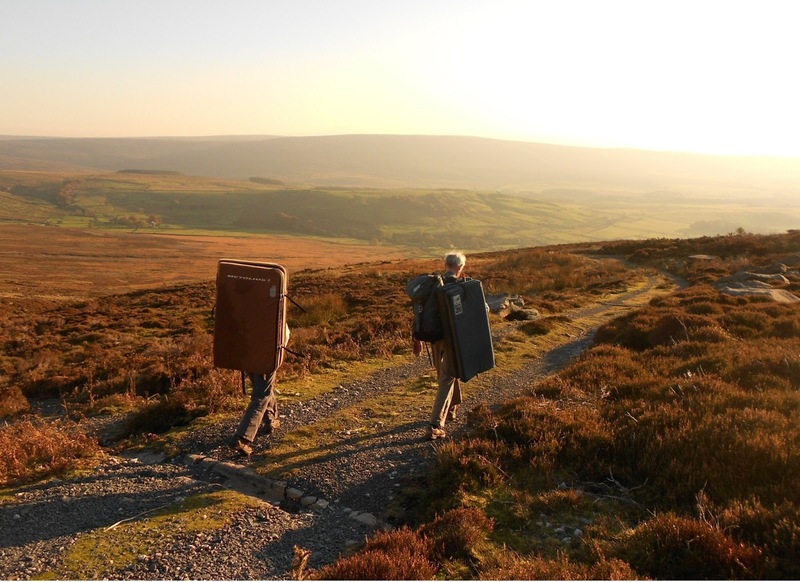 Bouldering at Thorn Crag, Trough of Bowland, 21st October. 2012. A perfect, crisp, bright Autumn day. 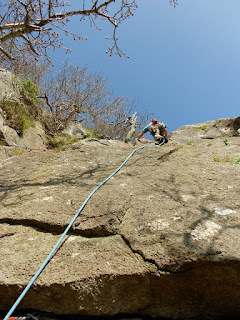 Immaculate grit boulders with quality problems. Sunshine that was aesthetically ideal but chilly enough for those slopers to stick. The sage wisdom of Will enabled some serious grade pushing in this stunning bleak landscape. Bouldering Heaven really. As you can tell, I quite enjoyed it. DerekH was unable to take the lead in this event due to sudden swollen knee problems. The meet was taken over by StephenS who changed the venue to Stanage Edge. 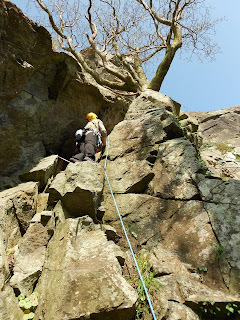 The climbing was mainly V. Diffs near the Robin Hood area in perfect weather. 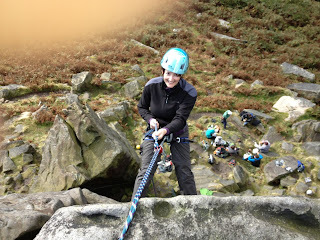 There was lots of tuition on hand for making main belays, protecting climbs on route and abseiling. Most of the climbs were top roped with encouragement and no doubt rib tickling criticism from participants. 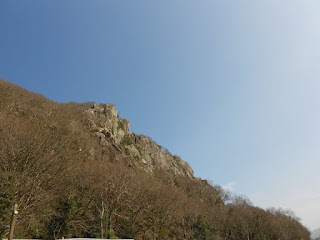 Southern Sea Cliffs - Camping Meet 2012. The Southern Sea Cliffs Camping Meet in 2012. This meet took take place in Cornwall since that gave the best chance of drier weather. 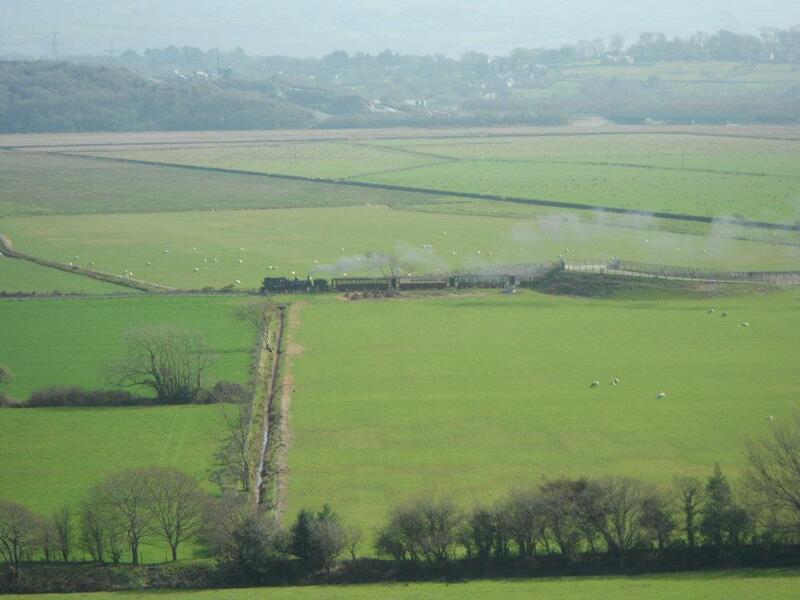 Previous experience has shown that the weather isn't continuously bad in Cornwall at this time of year. Bad weather rarely lingers and showers generally blow through quickly, permitting some climbing to be done even on bad days. We usually use the well appointed Trevaylor Caravan and Camping Park. It has good showers and washing facilities, on-site shop, Wi-Fi, on-site bar and is near the Queen's Arms in Botallack. The area is home to some astonishing routes, all with a big sea cliff ambience. 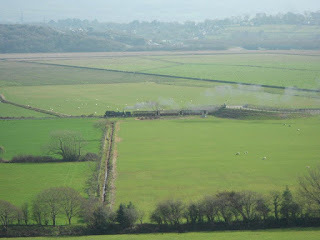 The ocean is never far away but there are still plenty of little luxuries such as cream teas, good pubs and fine food. 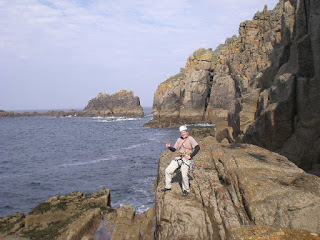 To see what is involved, try researching Bosigran, Chair Ladder, Sennen and Gurnards Head, or see elsewhere on our blog for reports and photos from previous trips to Cornwall. Windgather Beginners' Climbing Meet 2012. 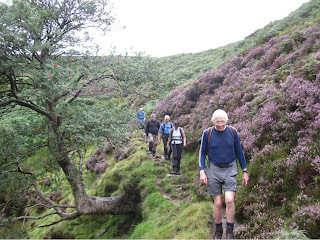 The Gritstone Beginners' meet is Sunday 29th March 2012 at Windgather Rocks. organiser: Chris Manasseh. John leading Green Crack 10m Sev. 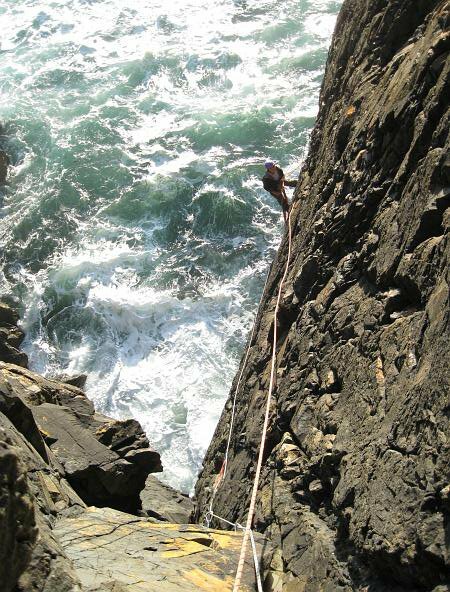 4a 2* belayed by Alan. 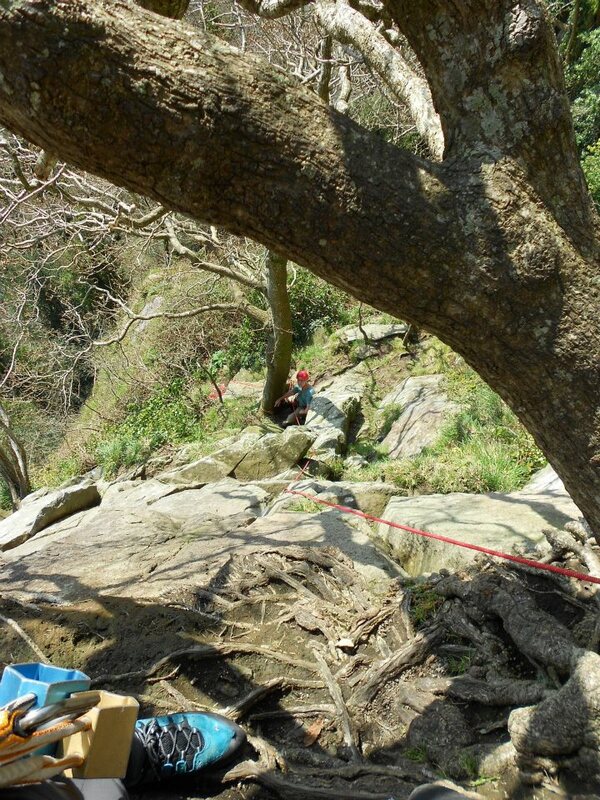 Dawn seconding Green Crack 10m Sev. 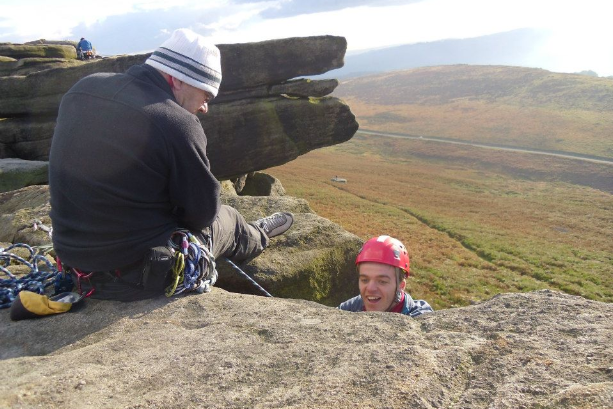 4a 2* and Alan seconding Chimney and Crack 10m VDiff. John leading North Buttress Arete 10m HVD 4a belayed by Alison. Dawn seconding North Buttress Arete Direct 10m VS 5a 2*. and Andy Taylor seconding Director 12m VS 4c 1*. 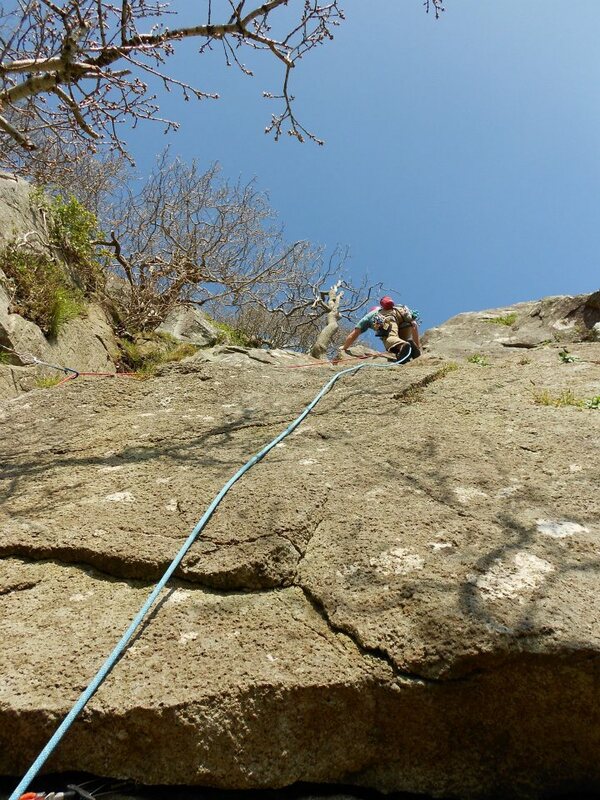 Alan seconding North Buttress Arete 10m HVD 4a. and Alan seconding Director 12m VS 4c 1*. 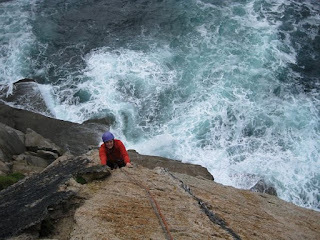 Chris solo on High Buttress Arete 12m Diff 2*. 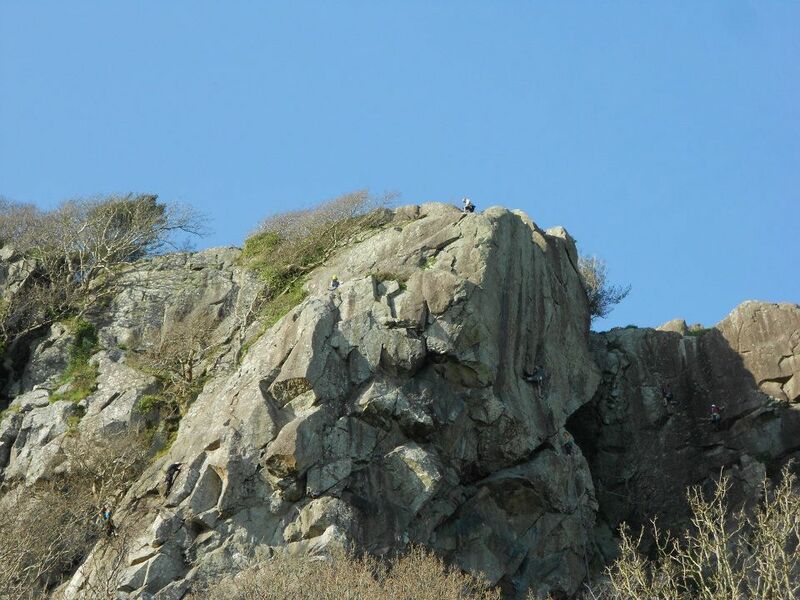 Following the Annual Dinner on Saturday, the next day is proposed a climbing at Tremadoc, or the Moelwyns. 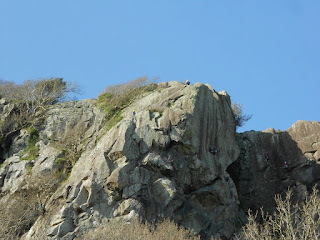 The photos below are by Chris who climbed Hail Bebe, with Geoff and Gina, on the Vector Buttress at Craig Bwlch y Moch at the last annual dinner meet at Tremadoc. For anyone keen enough to attend the whole weekend, a scramble is proposed up the Gribin Ridge then traversing to Glyder Fach and the Cantilever Stone. Descent by the scree to Cwm Tryfan. 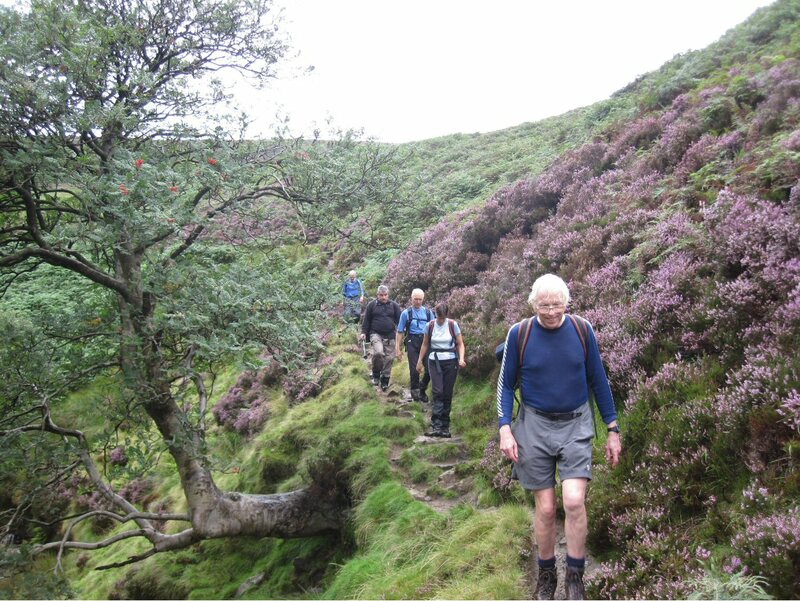 Below are pictures from the last Annual Dinner scramble up Moel Siabopd. Leaving the first rest-stop beside the old quarry workings. Approaching Llyn y Foel with the Daear Ddu Ridge in the background. The Daear Ddu Ridge viewed from the North East Ridge on the descent. Steve showing good style on a gentle glacis during the descent. 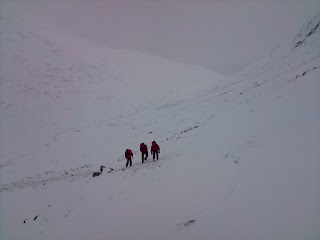 Steeper ground on the descent of the North East Ridge. The Notch with Llyn y Foel still far below. Well deserved beers with the day's objective still visible behind. The weather was remarkable, there wasn't a cloud in the sky all day. Although it was misty in the far distance, we were rewarded with good views from the summit, especially of the Snowdon Horseshoe and also of Tryfan and the Glyders. Despite some of our guests complaining that the extent of the day's activities had been misrepresented to them before they agreed to come along, everyone returned safely having enjoyed an excellent day out. 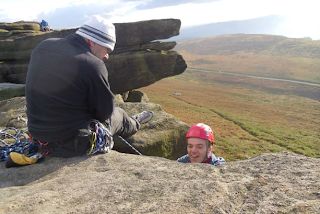 This meet was organised by Steve Fletcher and was suitable for newcomers to winter climbing. Steve had the assistance of Jason King who was involved in Steve's recent trip to Nepal. Jason is a lecturer in the outdoors at Leeds Met University and has climbed and guided in a number of places around the world. He is happy to impart to us his knowledge of winter climbing, including rope work, building belays, ice axe arrest, and avalanche conditions assessment. The meet was limited to around 6 to 8 people.